Probate generally revolves around the death of an individual. When an individual dies they leave behind two types of assets: non-probate assets (i.e. joint and survivorship property or payable or transfer on death accounts) and probate assets (must be transferred through a probate court proceeding). Most individuals die owning both probate and non-probate assets, all of which generally require some type of documentation to complete their transfer. Probate is a very confusing and frustrating area of the law that can have tremendous legal and tax complexities that require the advice and counsel of an attorney. Make sure you get help from an experienced Probate Attorney in Ohio. At Arnold & Arnold, Ltd., we have experienced and qualified Probate Attorneys in Dayton, OH who have been helping individuals like you with their probate and trust administration. The probate court handles far more than just the estates of the deceased; they also oversee guardianships, name changes, adoptions, and marriage licenses. Guardianship is a very complex area of the law and requires very specific legal knowledge. In Ohio, a guardianship is a legal relationship ordered by the court in which the guardian acts on behalf of the ward and the ward’s best interests. Wards are persons who are not able to care for themselves or their property. Guardians can be a person, association or corporation and need to be residents of Ohio. Typically, a guardian is responsible for the Ward’s person, estate, or both. For more information about the Probate Process click here. For more information about Guardianships click here. For more information about the Probate Court in Greene County, Ohio click here. For more information about the Probate Court in Montgomery County, Ohio click here. For more information about the Probate Court in Warren County, Ohio click here. For more information about the Probate Court in Miami County, Ohio click here. Trusts and their Administration are governed by the Ohio Trust Code (Chapter 5801 of the Ohio Revised Code). The Trust Code is extremely precise and detailed on the creation and management of trusts in Ohio. The typical parties involved in a trust are: the Settlor/Grantor (the person who creates the trust), the Trustee (the person who manages the trust as a fiduciary), and the Beneficiaries (those who benefit from the assets of the trust). The Settlor/Grantor, Trustee, and Beneficiaries all have very distinct roles, rights, and responsibilities. Some of the primary purposes for establishing a trust are to avoid probate, maintain privacy, lower taxes, and protect assets. You can contact the Ohio Trust Administration Lawyers at our office by calling (937) 715-0705 for a Free Case Evaluation. Make sure you discuss your case with a Trust Administration Attorney in Montgomery County for legal and professional assistance. 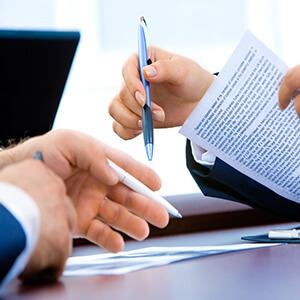 An attorney at Arnold & Arnold, Ltd. can provide reliable legal guidance in the area of Trust Administration. Please contact us with your questions. We look forward to building a relationship and advising you with your legal matters. Our Montgomery County Probate Lawyers can be reached at (937) 715-0705.